This iris is so elegant it seems to be straight from a classical Chinese painting. The pencil-thin, branching stems are suffused with dark purple and the same colour seeps up from the base of the plant to stain the leaves. The overall effect is very stylish. It will grow in shallow water and is often recommended as a plant for the edges of ponds. That is good advice if you have an estate with a large lake but it is far too vigourous for most domestic ponds. Keep it in the border where it won’t get out of hand. 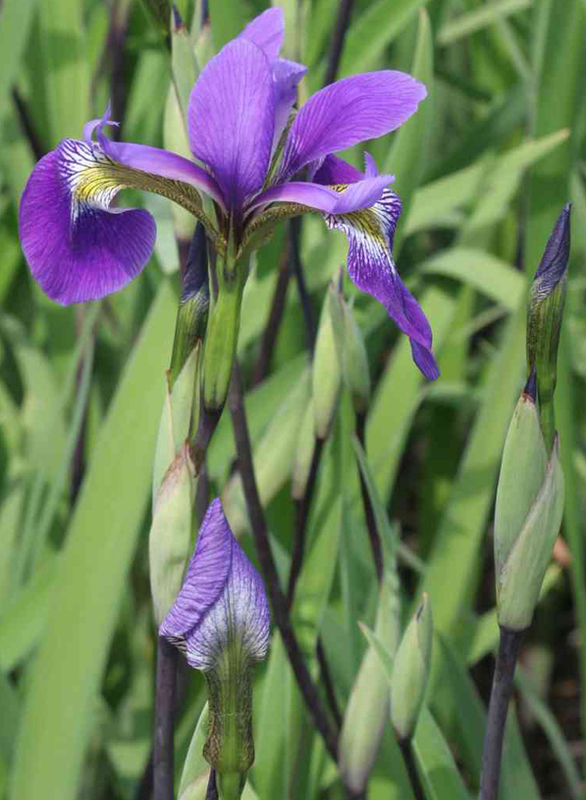 It is a hybrid if Iris versicolor and Iris virginica and grows to about 75cm tall. It flowers during June and July.